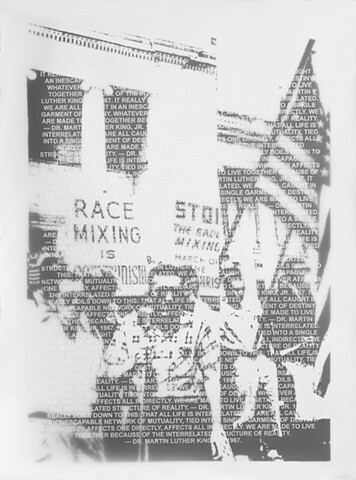 Printed on paper is a photo of protesters to the 1987 Central High School desegregation in Little Rock, AK. Printed on a translucent vellum overlay is wording from Dr. Martin Luther King Jr.'s "A Christmas Sermon on Peace", 1967. "Whatever affects one directly, affects all indirectly..."